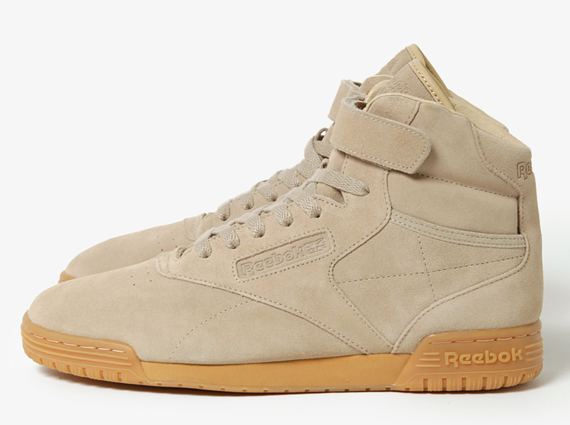 The Reebok Freestyle Hi and the Reebok Ex-o-Fit are both getting outfitted in some new collaboration looks courtesy of Sand.W.Man. For the unfamiliar: Sandman is a project consisting of Takahiro Miyashita from The Soloist and Takayuki Fujii of nonnative. And if you prefer to stay unfamiliar, surely you can appreciate the two shoes off the strength of their monochromatic, sandy style looks. Continue reading to get a look at the two shoes making up the new Sand.W.Man x Reebok Classics “#003/Dance” via a quick video preview, and watch for them go online at Cover Chord starting on June 28th (They’ll also be at ISETAN MENS / INTERNATIONAL CREATORS, NEPENTHES, UNITED ARROWS and International Gallery BEAMS).